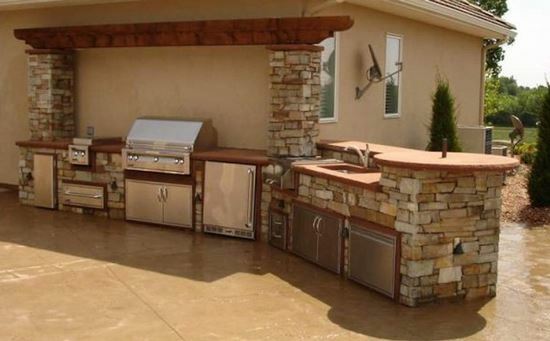 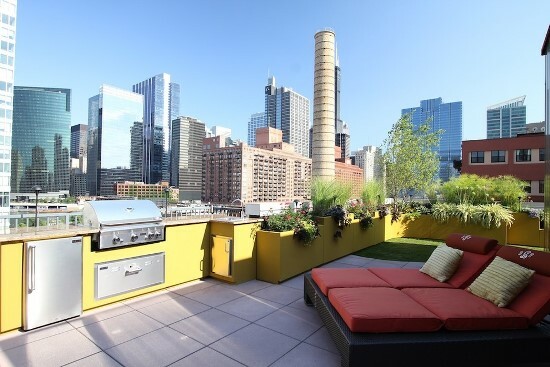 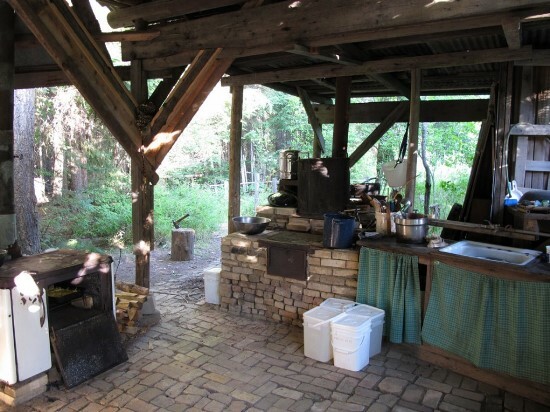 An outdoor kitchen is an avant-garde concept at best, and an ill-thought out one at worse. 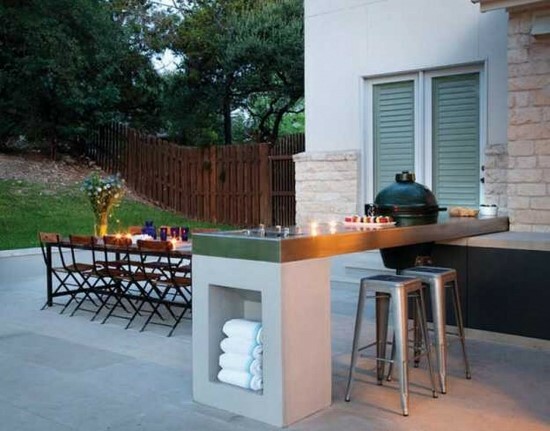 Nevertheless, it is becoming a popular trope in contemporary house design. 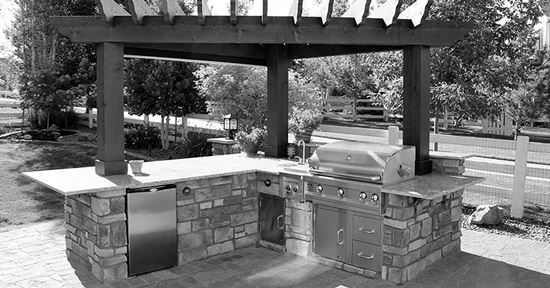 An outdoor kitchen ideas needs to be carefully implemented – so keep both the functionality as well as the aesthetics in mind. 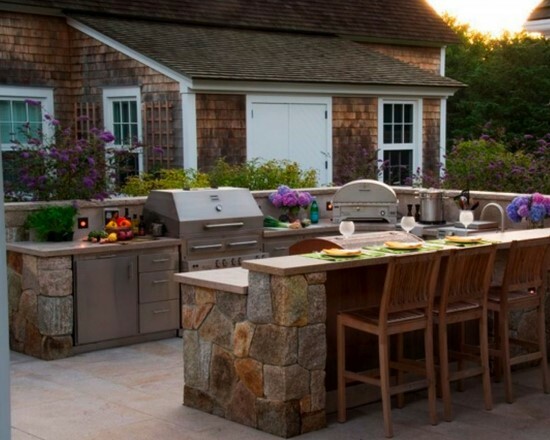 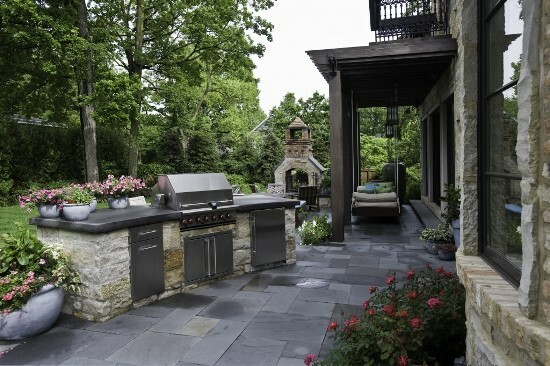 More often than not, an outdoor kitchen is a relative sign of luxury – it is both a decorative but pragmatic concept. 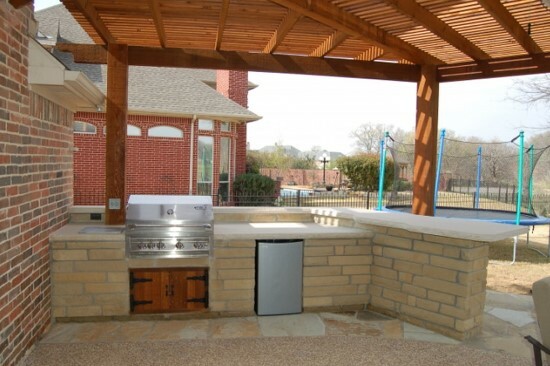 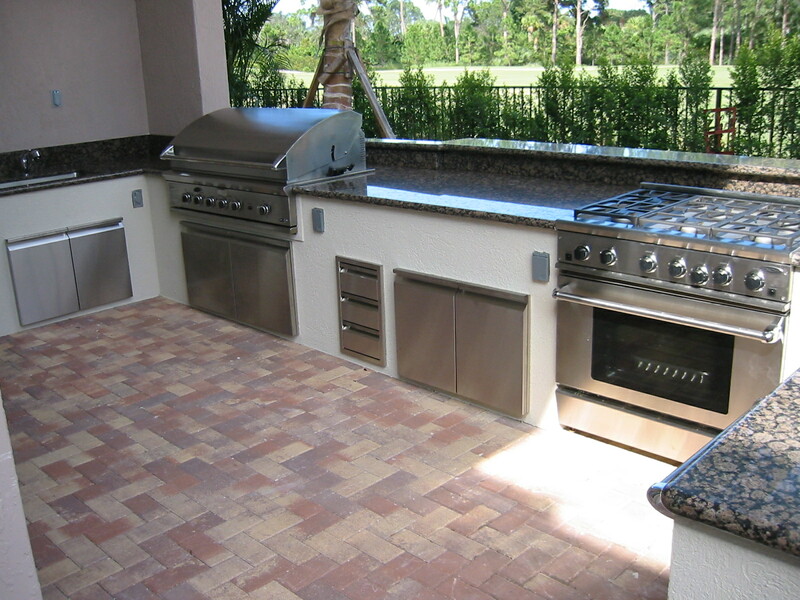 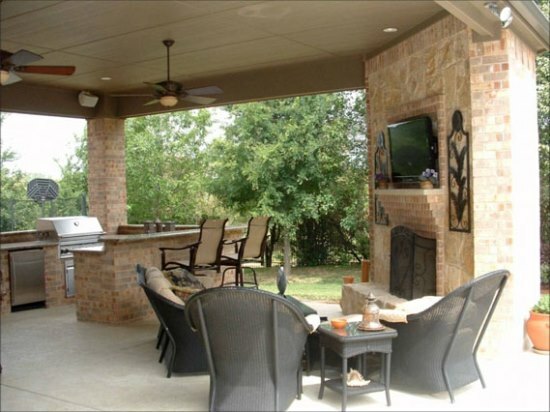 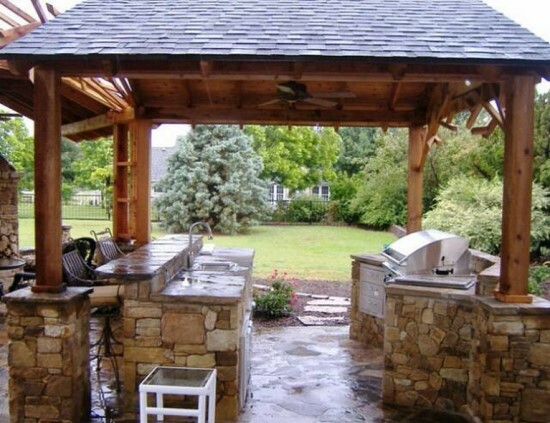 An outdoor kitchen design can be carried out in junction with or without an actual working kitchen. 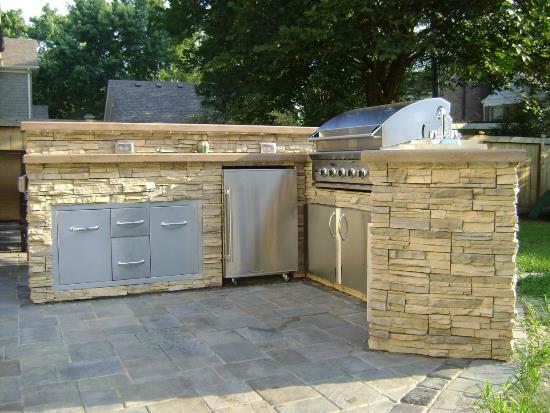 Like there is a combination of “server’s kitchen and dry kitchen” there can also be a combination of a “working kitchen and an outdoor kitchen.” It all depends on the zoning if your home and the budget you have for actual construction/renovation. 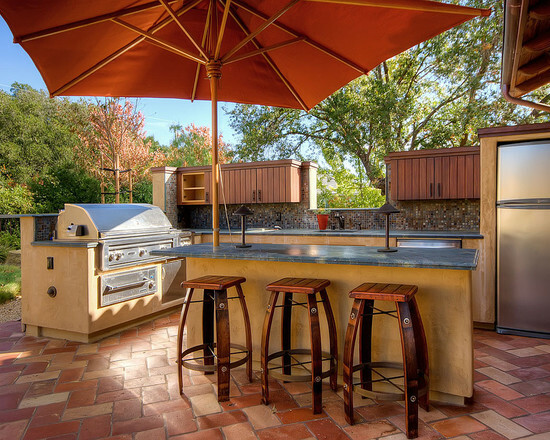 Since the outdoor kitchen aspect defines the aura and ambiance of luxury into a physical entity, an outdoor kitchen is also considered a statement construction piece. 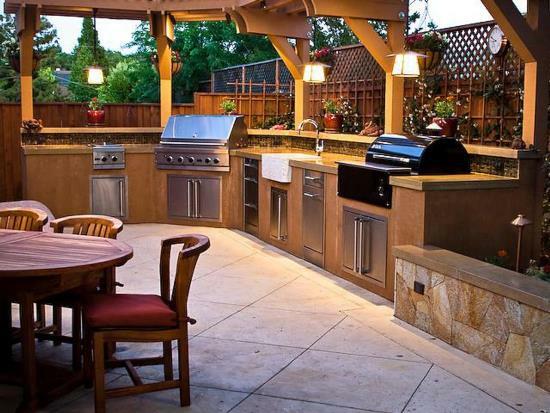 That does not mean that an economic household cannot have one – if you have ample amount of space and some nifty architectural planning, then it can definitely be done. 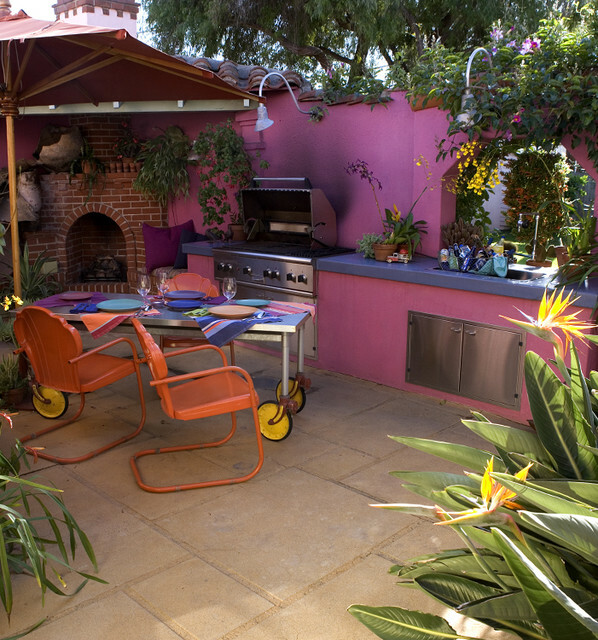 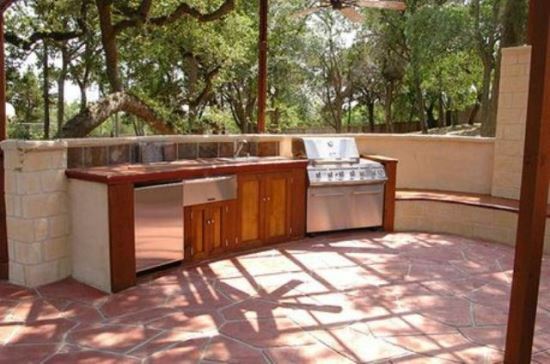 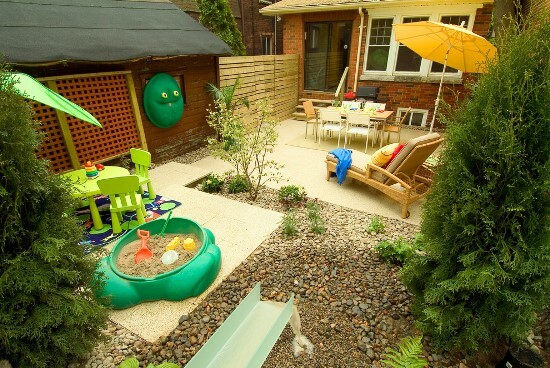 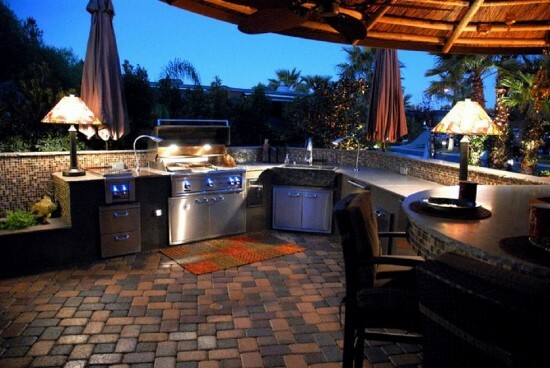 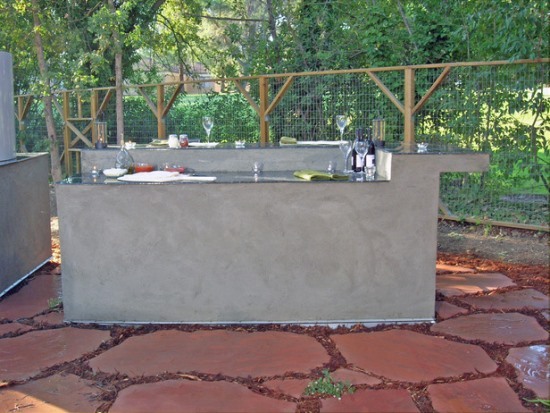 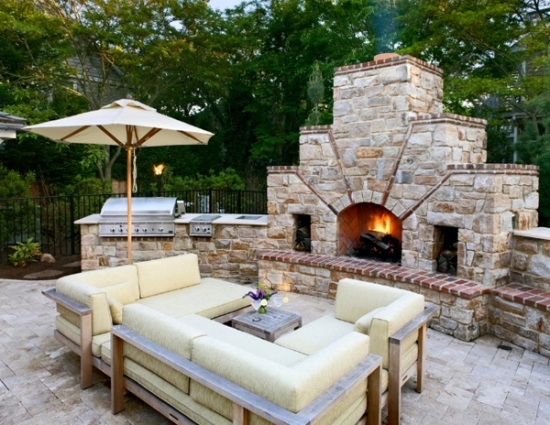 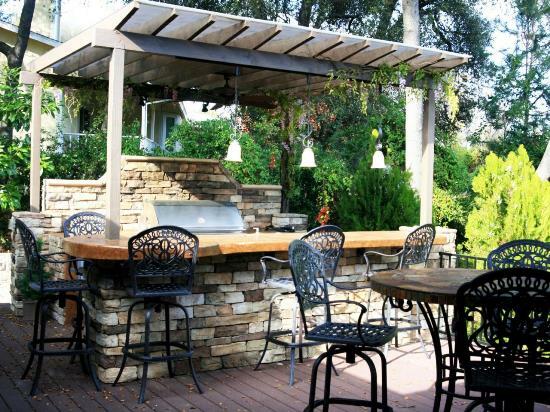 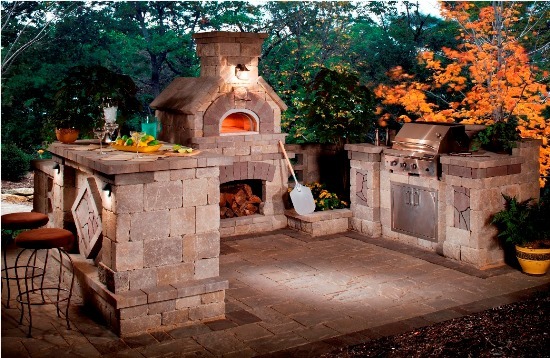 Further, let us look at some fun, eclectic outdoor kitchen ideas for your home. 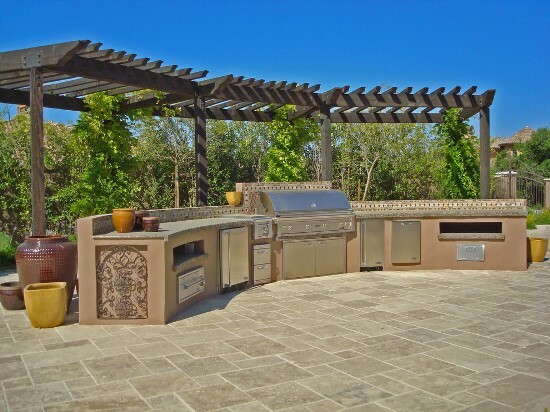 The most advantageous aspect of an outdoor kitchen is that you do not have to be restrained to the conventional formal dining customs. 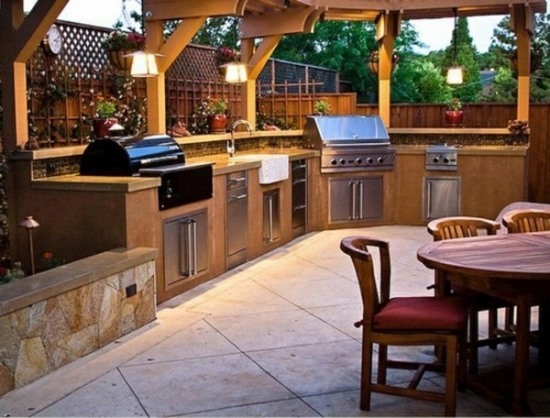 You can design a dining table in any form of fashion that you like, and an island table for 8 is one of the best ways to utilize available space and apply a bit of panache to the entire setting. 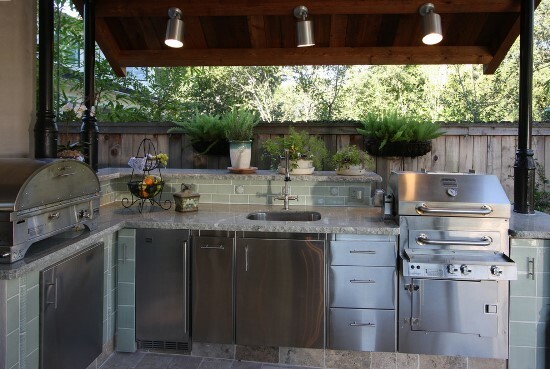 When an outdoor kitchen is relegated to the corner that means it is an extension of an indoor kitchen that extends to the outdoors. 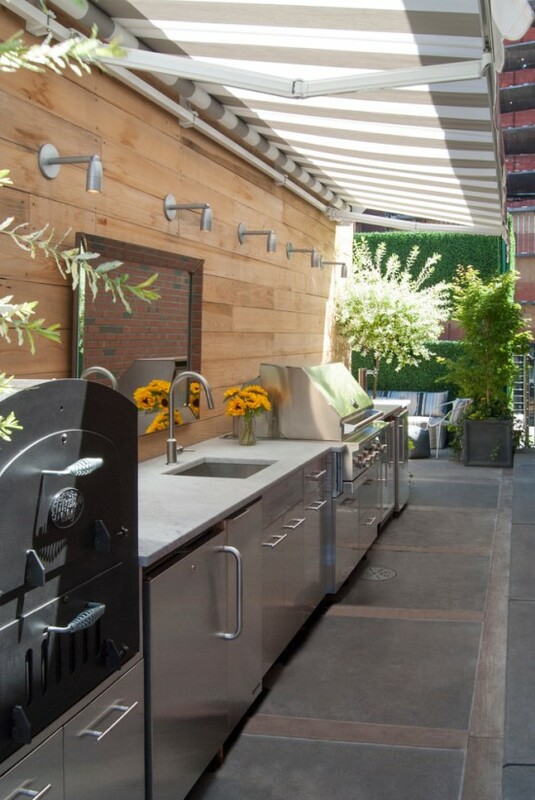 Such a kitchen has the best of both worlds and is probably the most efficient of them all in terms of both design derivative as well as aesthetics. 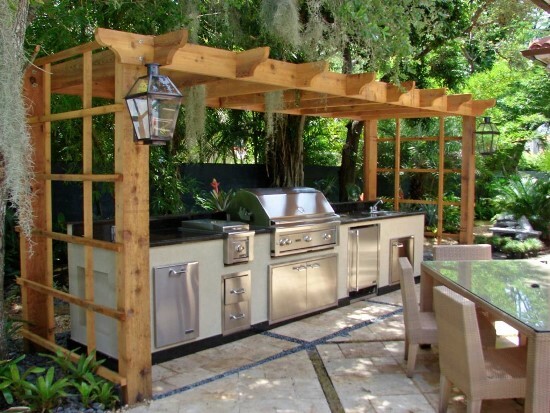 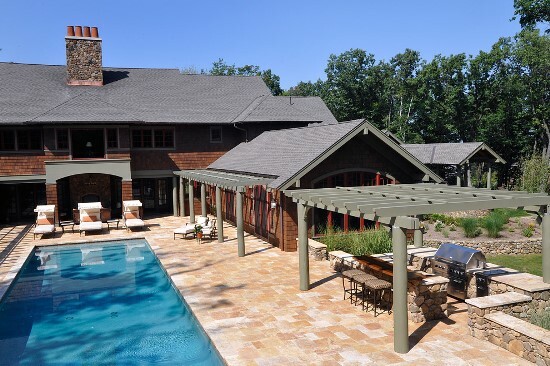 Pergolas are one of the defining elements of landscape architecture and their implementation in an outdoor kitchen is just an extension of that concept. 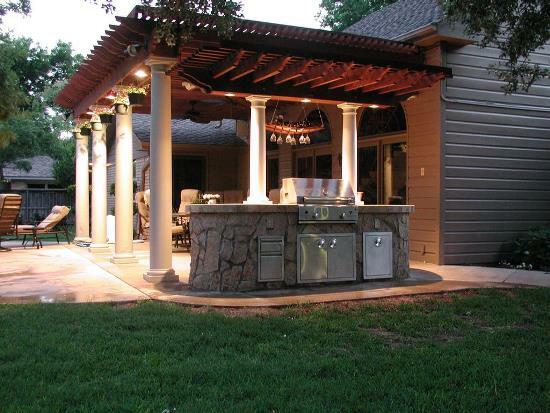 The pergola rooftop in an outdoor kitchen can give it a sense of privacy while keeping it real in the functional department. 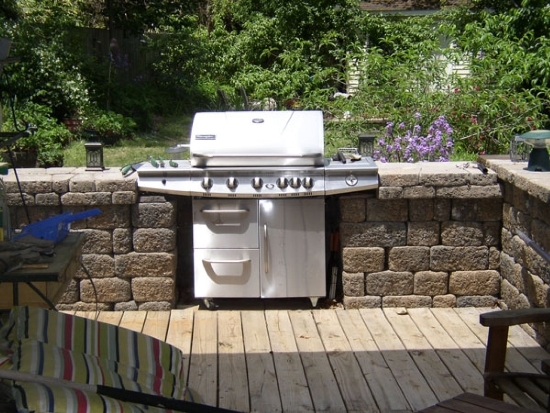 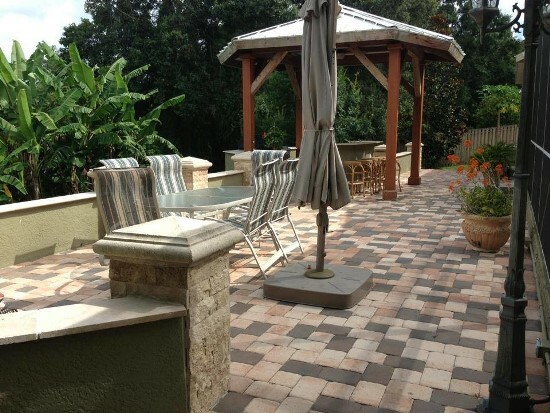 Flagstone and retaining walls are a key element of landscaping, and since outdoor kitchens are basically a part of the landscape, it is logical to apply some stone cladding to the fixtures. 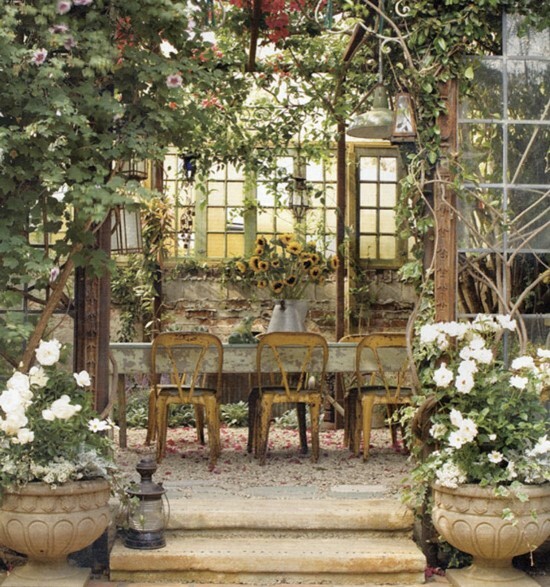 This gives the entire aesthetic a very cottage style vibe; which is very organic yet attractive. 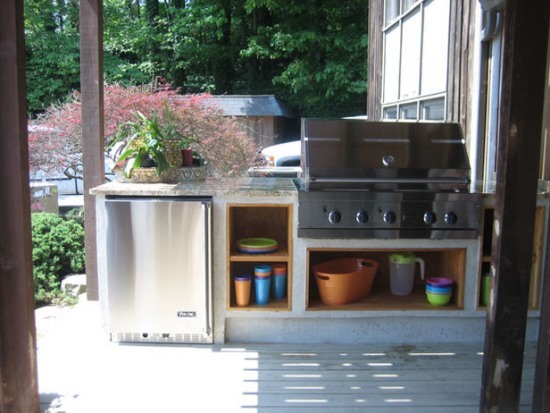 When a small kitchenette in the corner is just not doing it for you, you can always bring out the full sized kitchen to your outdoors. 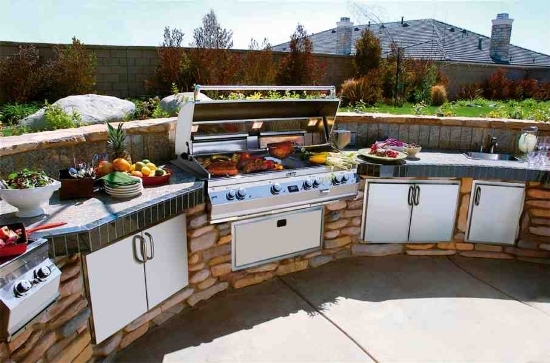 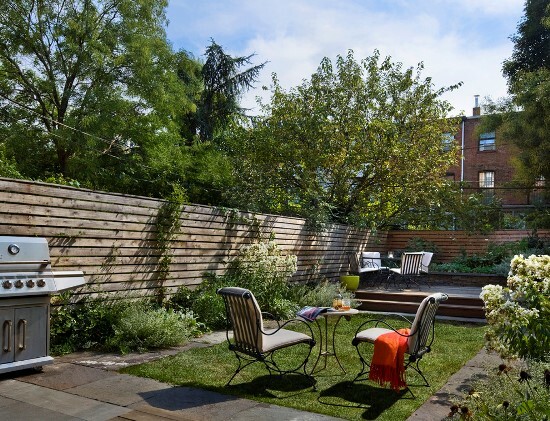 Just make sure that you have plenty of garden space to actually pull off this kind of an aesthetic, or the outdoor kitchen will definitely look garish. 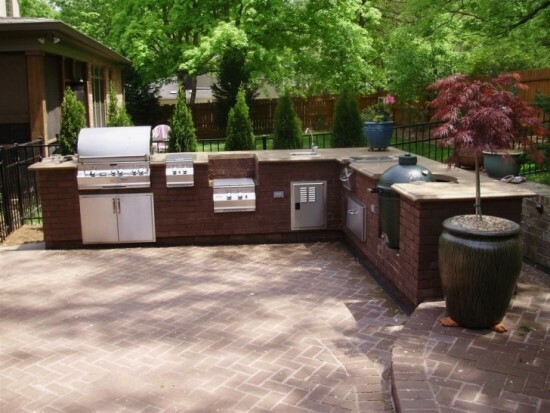 If you’re not a fan of the modern aesthetic, then pull out all of your old furniture and consult a proper designer. 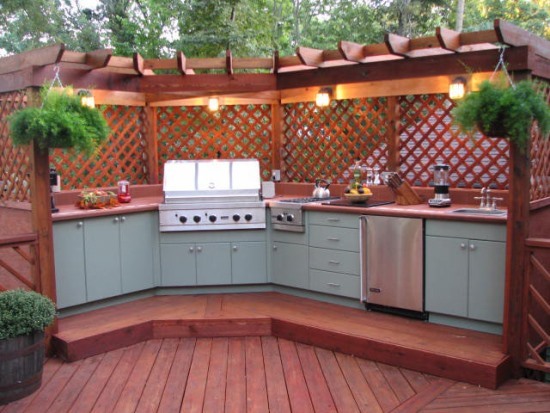 The vintage outdoor kitchen is definitely on the more kitschy side, but if your aesthetic is shabby chic enough then it will definitely suits your tastes for the better. 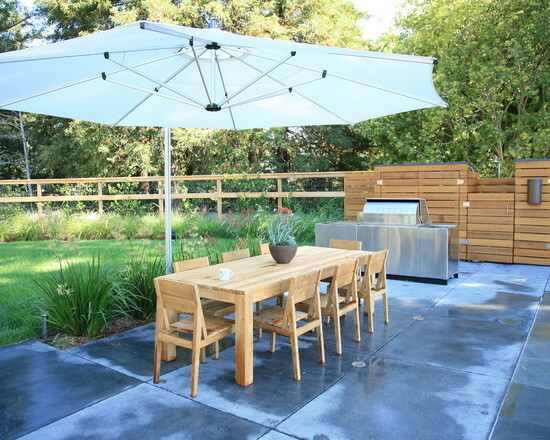 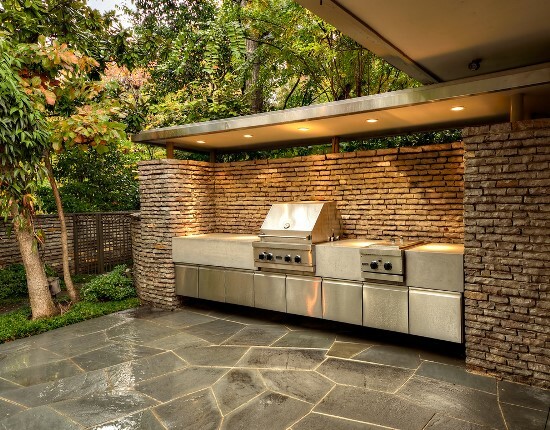 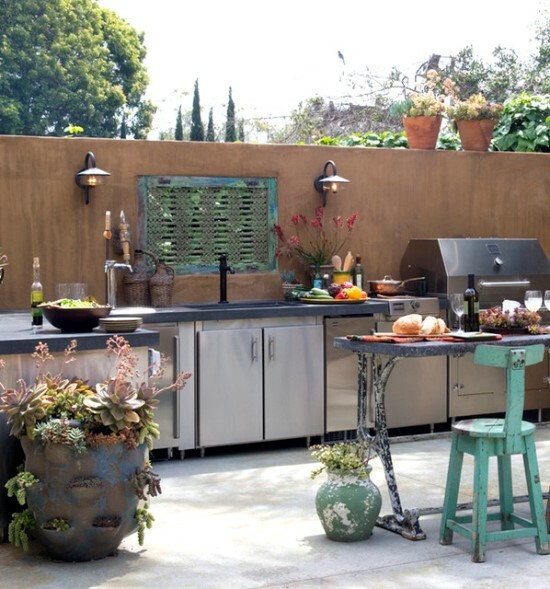 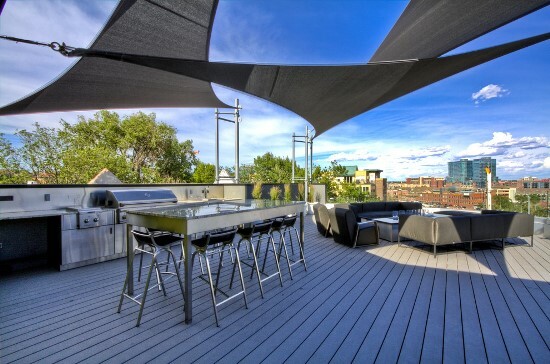 A contemporary outdoor kitchen is all about incorporating a fun, yet organic aesthetic. 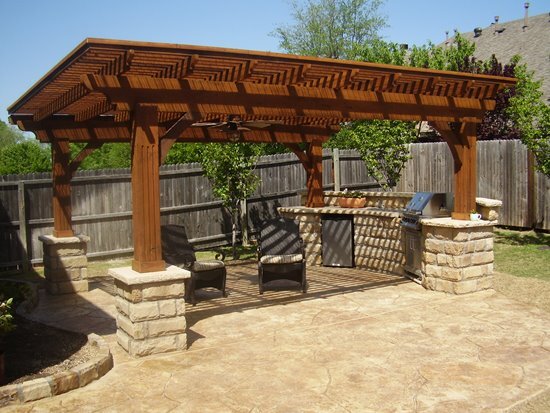 You can always set this up against the feature wall, just underneath the lawn overhang, or you might even design an organic looking pergola with cute lighting fixtures over it. 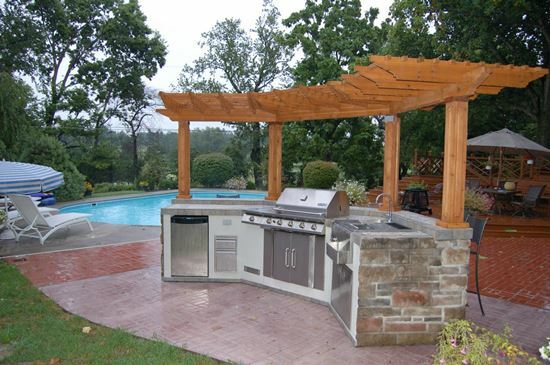 A prefab outdoor kitchen is one that is already available in the market in prefabricated parts that can be put together in your yard. 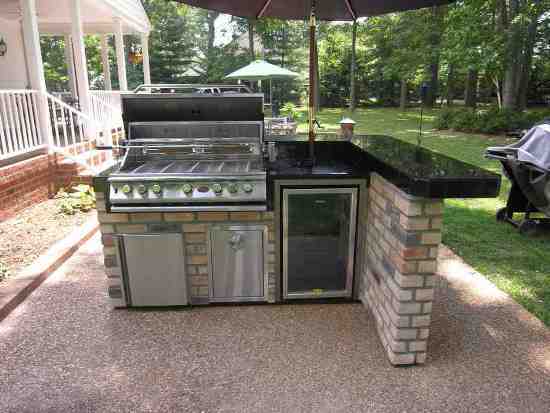 It is easy to set up and does not cost a lot of money. 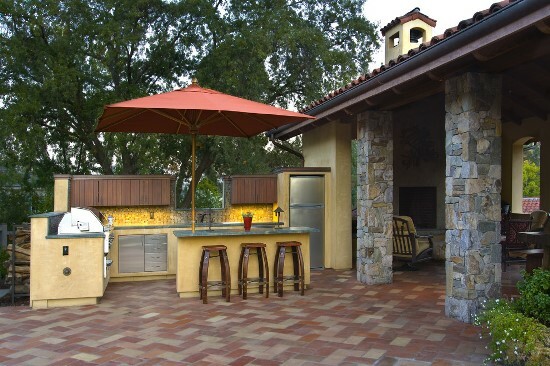 A Mediterranean theme is all about the warm color scheme, rounded edges and red roofs, and you can incorporate it in an outdoor kitchen by accruing a pavilion theme – one with stucco siding, red pitched roof and arched openings. 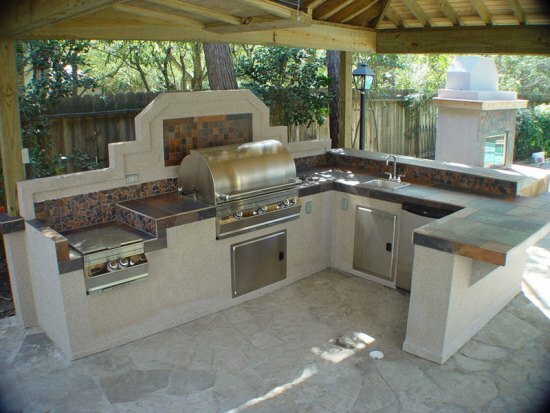 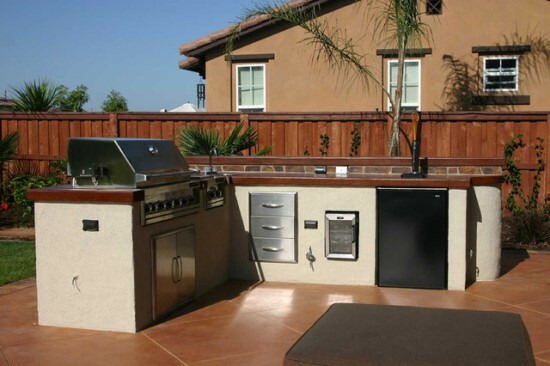 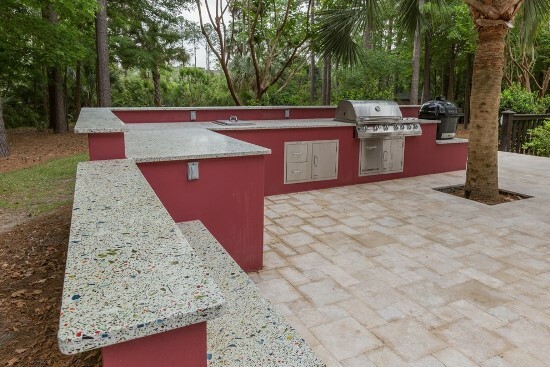 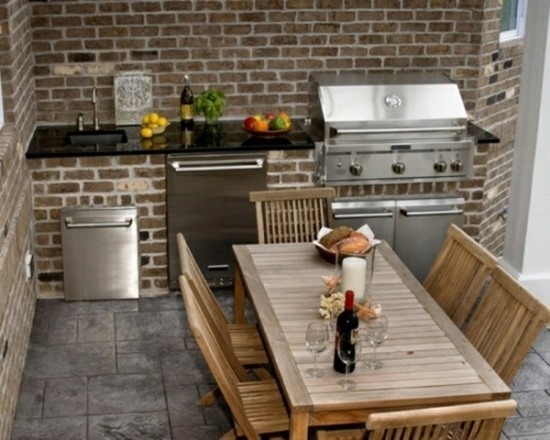 This kind of an outdoor kitchen emulates the patio, with a counter and kitchen equipment set around an outdoor patio and relative furniture. 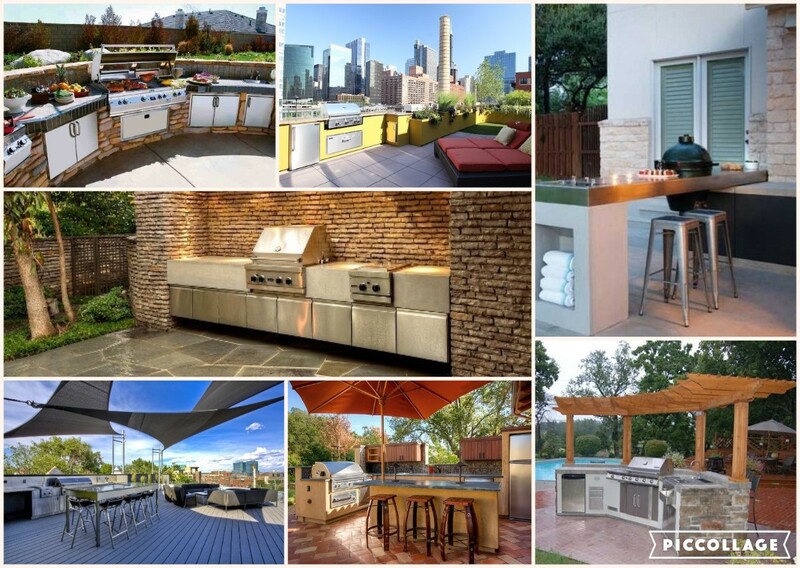 As you can see there are invariable ways to design an outdoor kitchen, and we hope this article helps you decide the best possible choice.